French utility giant Engie closed last week on a majority stake in Electro Power Systems (EPS), a fast-growing energy storage and microgrid developer with offices in Milan and Paris. The acquisition is among several by Engie into green and innovative technologies under an investment plan launched in 2016, as the international company re-positions for growth. The March 8 closing gives Engie a 51 percent stake in EPS at $11.68/share. Experienced in international capital markets and venture capital, EPS’ management team developed and deployed distributed energy and microgrid technology that originated at the Polytechnic of Turin and Milan. 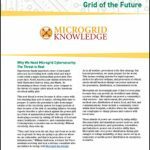 The microgrid developer began with hybrid projects on island nations and in remote communities where power prices are high and residents and businesses are dependent on diesel and fossil-fuel imports. That includes a hybrid solar-diesel microgrid at a resort in the Maldives, as well as a plug-and-play green microgrid for Italian utility Enel at a geothermal energy project construction site in Chile. The Chile microgrid is designed to help power a construction camp set up for 600 workers building a geothermal plant for Enel Green Power in Chile’s Atacama Desert. Powered by solar PV, lithium ion battery and hydrogen energy storage, the microgrid e does not require any diesel generation and operates 24×7, according to the company. All told, it has undertaken 36 projects in 21 countries, including off-grid hybrid systems and microgrids powered by renewables and energy storage, with a total capacity of 47 MWh. EPS employs about 90 people. Over 2016-2018 Engie has invested $12.5 billion in green and innovative companies, among them EVBox , the largest European electric vehicle charging player; Tabreed, a leader of district cooling networks in the Middle East; La Compagnie du Vent, a wind and solar project developer, and Unisun, a Chinese solar photovoltaic company. One of world’s largest global utility and industrial companies, Engie had annual revenues of about $80 billion in 2017. The company employs 150,000 people and is active in 70 countries. Andrew Burger contributed to this article.